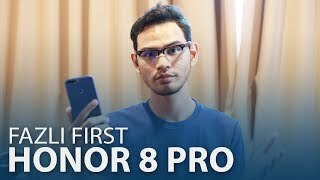 The Huawei Honor 8 Pro is officially here and things are looking good both inside and outside. We have already seen some good smartphones from Huawei this year like the Huawei Mate 9 Pro and Huawei P10. 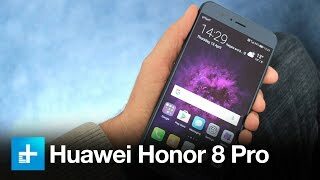 Honor is trying to stand out as a brand of its own separate from Huawei which reflects in this phone as well although it’s the same company technically. To find out more about this phone including the Huawei Honor 8 Pro Nigeria price and specs, keep reading. For those who are familiar with the design of the Huawei Honor 8, the Pro version offers something different and went for metallic design instead of glass which is more practical if you don’t want a phone prone to fingerprint. It’s quite a good looking phone but will remind you of the iPhone 7 and iPhone 7 Plus. The navy blue model might be the one that will grab your attention but there will be a Midnight Black and Pearl White color available as well. It’s also bigger than the Honor 8 and packs a 5.7-inch screen showing 2560 x 1440 pixels resolution and Corning Gorilla Glass 3 protection. There is still some time before the Huawei Honor 8 Pro release date Nigeria which means you can check out the Huawei Honor 8 now. This is where things are not looking very different from the Honor 8, the camera. It’s the same 12-megapixel dual camera you get which is a good thing actually as it’s quite good. One of the camera on the back captures RGB color images while the other one captures in Monochrome to offer images with better detail. The front camera is also a good 8-megapixel one which should be more than enough for selfie lovers. However, there is no front flash. There is also the Google Pixel XL and Samsung Galaxy S8 Plus if it’s a phone with the best camera you are after. These are slightly more expensive compared to the Huawei Honor 8 Pro Nigeria price. The Huawei Honor 8 Pro is a flagship phone and it’s clearly visible from the price tag. It’s not so pocket-friendly compared to some of the other Honor phones and will be around 216500 ₦ when it’s here. 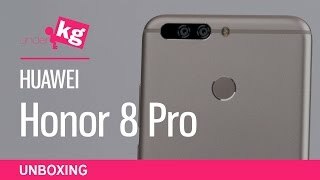 The Huawei Honor 8 Pro release date Nigeria is expected sometimes after April 20.